Praised for his passionate, sensitive, and thoughtful musical style, pianist Arunesh Nadgir has performed as a soloist and chamber musician in the United States, South America, Europe, and Asia. He has performed in venues including Weill Recital Hall at Carnegie Hall, Kodak Hall at the Eastman Theatre, and Jordan Hall, and has participated in several international music festivals including the Millennium International Piano Festival, The Moulin d’Ande Festival, and the Kneisel Hall Summer Music Festival. He has been heard on Nashville Public Radio and WNYC in live radio broadcasts. An accomplished teacher, Nadgir is the Coordinator of Keyboard Studies and Associate Professor of Piano at Middle Tennessee State University. He also maintains a private piano studio, is Co-Director of the MTSU Keyboard Artist Series, and is on the Executive Board of the Tennessee Music Teachers Association. He has previously held teaching positions at New England Conservatory's Preparatory and Continuing Education Departments, the Eastman School of Music, the Point CounterPoint Music Camp, the Blue Lake Fine Arts Camp, and the Palisades School of Music. 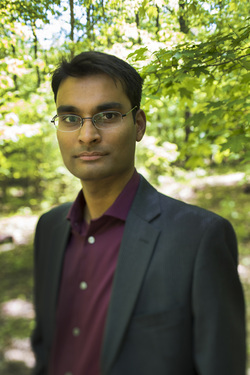 His students have been accepted to graduate and doctoral music programs across the country and have won prizes at pre-college and college level music competitions including the Beethoven Club of Memphis Young Artist Competition, the University of Rochester Concerto Competition, the Tennessee Music Teachers Association Solo Piano Competition, and the Wagner College Young Musicians Competition. Nadgir holds degrees from the New England Conservatory of Music, The Juilliard School, and the Eastman School of Music where he studied under Wha Kyung Byun, Robert McDonald, and Natalya Antonova, respectively. He has performed in master classes conducted by many world-renowned musicians including Julian Martin, Joseph Kalichstein, Roger Tapping, Pamela Frank, and Daniel Pollack.